We all know that Florida Orange Juice makes a delicious and nutritious drink, but did you know that it’s actually a super versatile ingredient for cooking, too? Here are 8 ways to incorporate 100% orange juice into your meals – enjoy, and let me know your favorites in the comments! Thank you to the Florida Department of Citrus for sponsoring this post in honor of National Nutrition Month. 1) Use Florida OJ to make a tangy and delicious homemade vinaigrette. I’ve written before about my love of 100% orange juice in salad dressing – have you tried it yet? A bonus is that the vitamin C in the Florida OJ will help your body better absorb iron from the dark leafy greens and protein on your salad! 2) Use Florida OJ to make grains more flavorful. 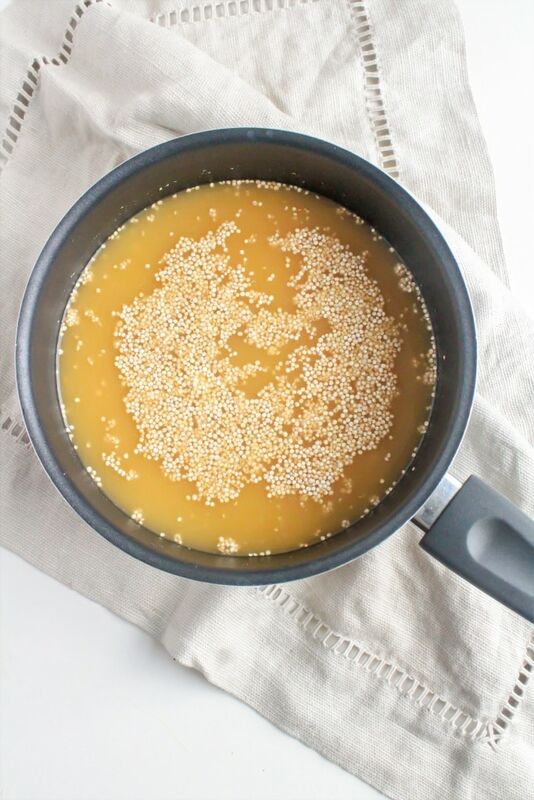 Have you ever tried cooking a grain, like rice or quinoa, in a mixture of Florida Orange Juice and broth? Simply replace the water you’d normally cook the grain in with equal parts Florida Orange Juice and low sodium vegetable broth – that’s it! 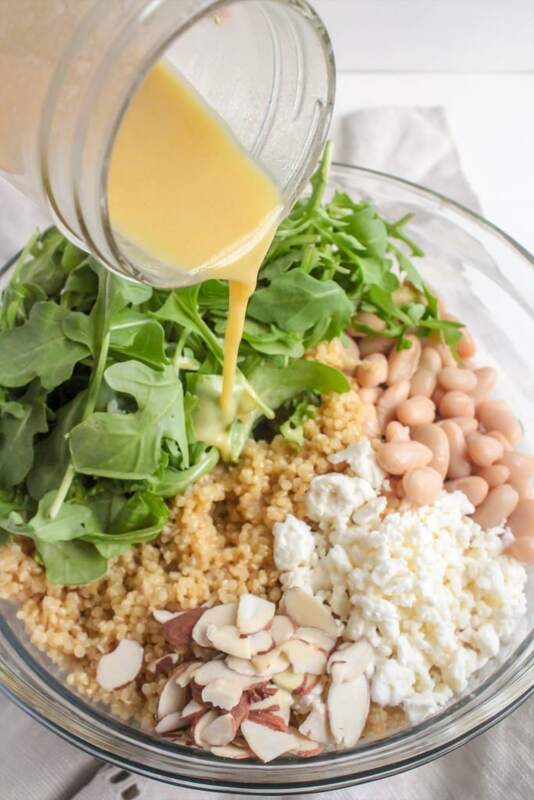 Florida OJ-infused grains are especially delicious atop salad. If you want to try this, check out my Quinoa Salad with Orange Juice Vinaigrette post for a specific recipe to try. 3) Use Florida OJ to make an easy homemade sports drink. Florida OJ is awesome in sports drinks because it provides fluid as well as simple carbohydrates that are easy to digest, making it a great option for rehydration during or after exercise! To make two servings of this quick and easy homemade sport drink, simply mix together 1 cup of Florida Orange Juice, 2 cups of water, 2 teaspoons of pure maple syrup, and a hefty pinch of salt! 4) Use Florida OJ in smoothies. While we’re already on the liquid train, let’s continue on with smoothies! Florida Orange Juice makes a delicious addition to smoothies. 5) Freeze Florida OJ in an ice cube tray. Toss your Florida OJ ice cubes in seltzer or iced tea to add some flavor (and to keep it cold at the same time)! You can also blend the Florida OJ cubes into smoothies, like the one previously mentioned, for some added flavor and nutrition! 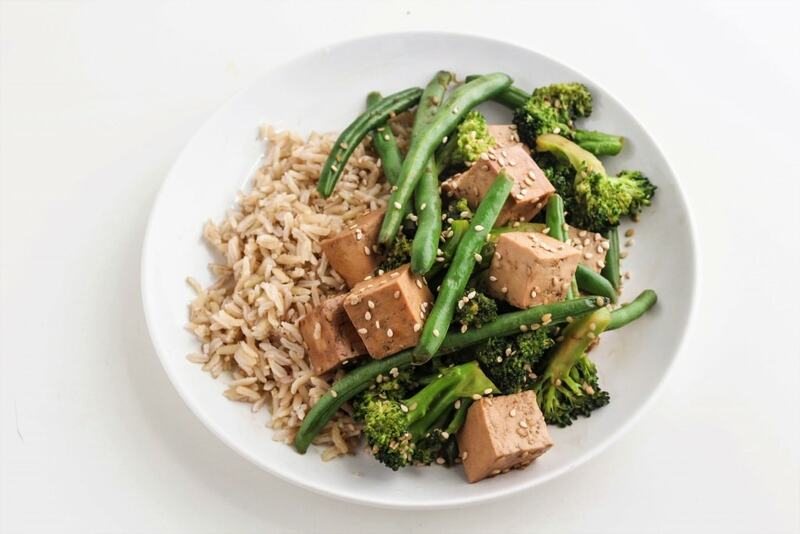 6) Use Florida OJ to make a yummy marinade (or stir fry sauce) for meat or tofu. In addition to being a great marinade, it also makes an especially delicious stir fry sauce! Speaking of marinades – the reason 100% orange juice is so great in marinades is because the acid in it tenderizes meat! Florida OJ works especially well for chicken and pork. You can literally just use the Florida OJ, or try adding some vinegar. My Orange Lemon Chicken is a great recipe to try here! 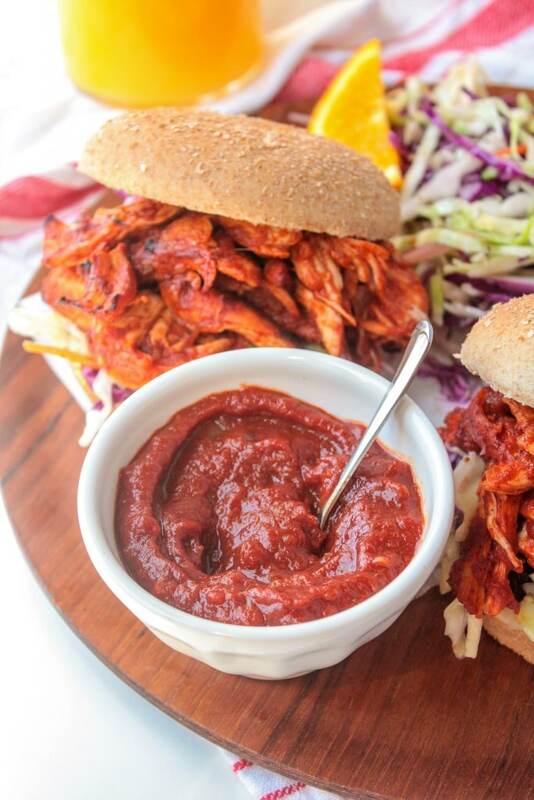 See also: my Orange Juice BBQ Chicken Sandwiches. What are your favorite ways to use Florida Orange Juice besides straight up drinking it? I recently read a tip somewhere to try using 100% orange juice in place of water in box mix muffins or cake to add a nice citrus flavor. Love that idea and definitely going to try it next time I make these muffins (which will be soon because we make those all the time – Riese loves them). For more Florida OJ recipe ideas and nutrition tips, check out the Florida Department of Citrus’s website, and follow them on Facebook, Instagram, and Twitter! As an RD do you really believe juice is healthy? It has no fiber and spikes blood sugar. Seems like an odd thing for you to be partnering with. Hi Lisa! 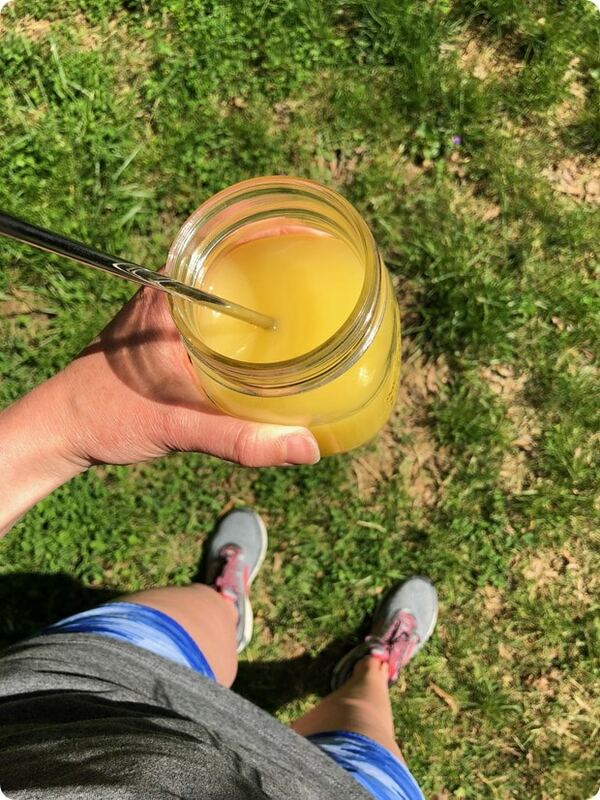 I’ve been talking about my love for OJ here on the blog for years, and yes, as an RD I do believe juice has a lot of nutritional benefits, including the ones I’ve outlined in this post and in previous posts. The key with juice is just how you consume it, and in what quantities. I wouldn’t recommend someone drink a 20 ounce glass of OJ (or any juice) with nothing else, because yes, that would spike their blood sugar and also leave them hungry again soon after. Rather, I’d suggest sticking with the serving size (8 ounces for OJ), and pairing it with something that has protein and fat to help buffer the blood sugar spike. The suggestions I’ve outlined here, with the exception of the sports drink (for obvious reasons – you want mostly carbs in sports drinks vs. the slower digesting protein and fat), all pair the OJ with a source of protein and/or fat. Thanks for reading, and I hope this answer was helpful! Any other questions just let me know. Thanks for the explanation! I still don’t believe juice is healthy, but to each their own. Lisa – I had a very similar reaction to this post. I just don’t see how it could be beneficial to replace water (smoothies) with orange juice because it just seems like a way of adding more sugar and empty calories which doesn’t make sense. Anne – do you really think that promoting the use of empty calories like juice is really a good idea in today’s society where so many people are struggling with obesity and diabetes? Hi Lindsay! You can see my response to Lisa above, but 100% orange juice is definitely not empty calories – it contains lots of great nutrition as I’ve outlined in this post. As I said above, I am not proposing drinking gallons of juice all day long, but it can certainly be a nutritious addition to meals/snacks like those I’ve outlined in this post. In the case of the smoothie, the key is to make sure there is protein and fat in the smoothie as well as fruit/juice, so that it has some staying power. As you see in the smoothie example I provided in this post, I included Greek yogurt and chia seeds for protein and fat, and there isn’t any other fruit in the smoothie so it’s far from a sugar bomb. Thanks for your response, Anne. I think we will have to continue to agree to disagree on the benefits of orange juice. I do appreciate your other recipes though and will continue to use them! French toast with orange juice instead of milk is tasty. My parents made it that way, and I have loved it since I was a child. Yum, I’ve never tried that but now I’ll have to! Thanks for the tip! Novel and very tasty looking, Anne, thanks!